This salsa is perfect for chips or little crackers too. I used pink grapefruit but a ruby red grapefruit would be great too. I will make this ahead of time and just wait to add the avocado just before serving. 1. In a large bowl, combine all ingredients. Stir to combine. Cover and refrigerate for 15 minutes or until ready to serve. This salsa is so perfect for parties as a dip or even on top of fish tacos. I made it and used it over grilled chicken the other night and got rave reviews so the possibilities are really endless with this recipe! What are your favorite spring recipes? 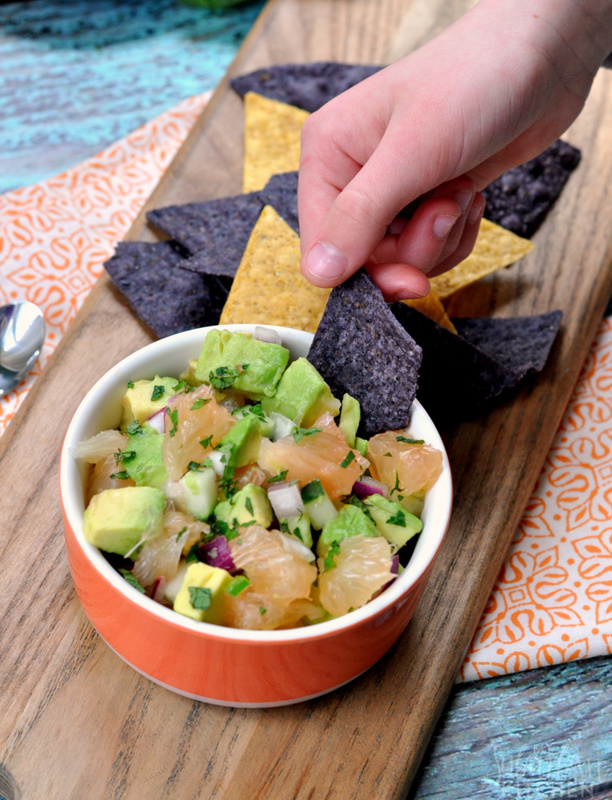 Have you tried fruit salsa in place of a traditional tomato based salsa? In a large bowl, combine all ingredients. Stir to combine. Cover and refrigerate for 15 minutes or until ready to serve. I do love avocado and this salsa certainly says summer! Thanks for sharing with us at #overthemoon link party. I’ve pinned and shared. 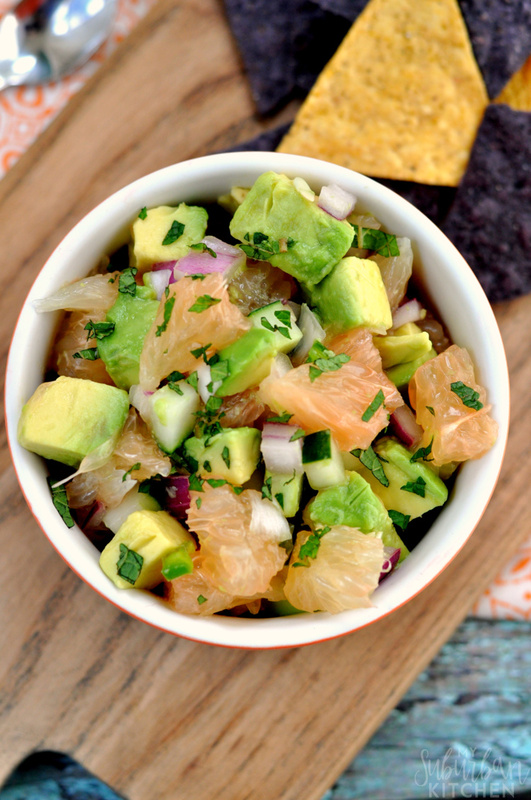 Creamy avocados and tangy grapefruit. Yes please! I want dig right in with a spoon. I would eat that as a salad! It looks and sounds so refreshing! Thanks for sharing on the What’s for Dinner link up! Yummy! I would so eat this and it’s so easy to make. Thank you for sharing this awesome recipe at Dishing it and Digging it link party. LOVE this salsa! Thanks for linkin’ up What’s Cookin’ Wednesday! 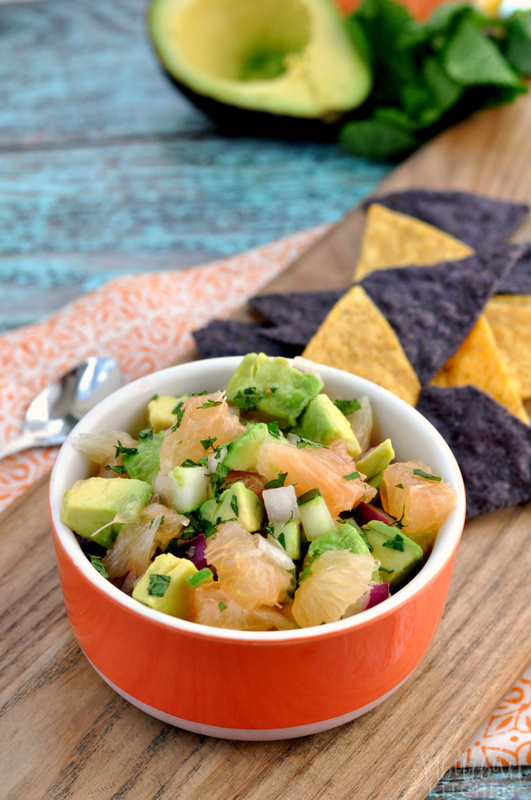 We will really enjoy your awesome Grapefruit Avocado Salsa. Hope you are having a great day and thanks so much for sharing your post with us at Full Plate Thursday.